The 2016 Charger comes to our showroom floor with its four door sports sedan looks and offers plenty of power and performance under its hood. 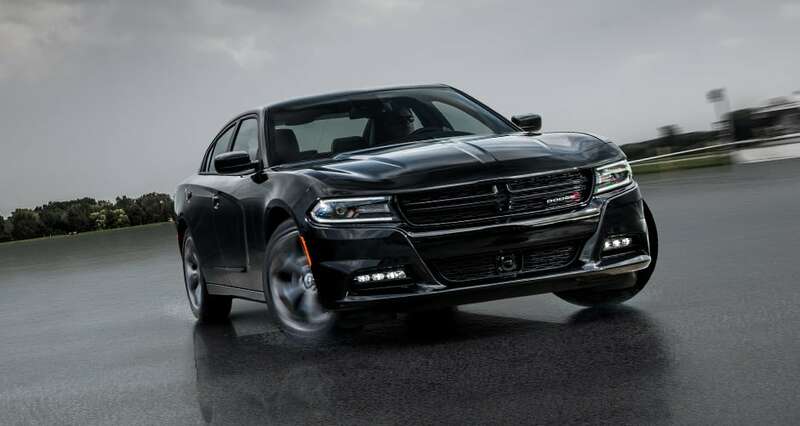 The Charger brings its top of the line interior and exterior features that makes it the perfect sedan while offering up to nine trim models to select from such as the SE, the SXT AWD and the SRT Hellcat. The sedan is the perfect sports vehicle to purchase from our showroom floor. The sports sedan brings out the best of the best to its under the hood power and performance. One of the offered engines is the 5.7-liter Hemi V8 that comes in trim models R/T and the R/T Road & Track, which is packed with a four cylinder mode system that brings amazing fuel saver technology. The system offers an 8HP70 TorqueFlite automatic eight-speed transmission with auto stick features that brings out the best to its power. The sedans power offers up to 370 horsepower @ 5,250 RPM and torque pressures of 395 lbs-ft @ 4,200 RPM with a maximum engine speed of 5,800 RPM. The Chargers fuel saving energy technology features gives it the best fuel efficiency offering 18.5-gallons to the tank with a combined 21-MPG and 16-city MPG and 25-highway MPG giving a total range of 460 total miles. The performance of the sedan brings the best drive with its amazing brake system that helps control the Charger's stopping power. The sedan offers up to five different brake systems such as its Touring, Sport, Sport Brake with Performance Brake Linings, Brembo High-Performance, and Brembo Ultra-High Performance that brings out nothing but the best when on the road. The Charger brings out the best to its interior and exterior features to make it admired sedan. The Chargers exterior offers a smooth body accent with a sporty look that shows its chilling crosshair grille, offering twelve wheel designs from 17-inch to 20-inch wheel covers, a dynamic sunroof feature and a state of the art rear spoiler. The interior offers a stylish look with its leather seating and leather wrapped steering wheel with a stylish inner body accent panels and plenty of legroom. The sedan also comes packed with a state of the art Uconnect Access System that brings out the best to its GPS Nav, Bluetooth and plenty of other features. Does Lynch Chrysler Jeep Dodge RAM have a service center? Is there a faster way to see if I can get my Financing approved? What is your sales departments phone number? Dodge takes a lot of thought when it comes the safety of its drivers and passengers in their vehicles. Offering up to 60 safety and security features, the Charger brings out the best to its class. The sedan offers standard airbags along with its performance control features, parking and warning features, and its amazing performance page that gives you the most advanced warnings when on the road. 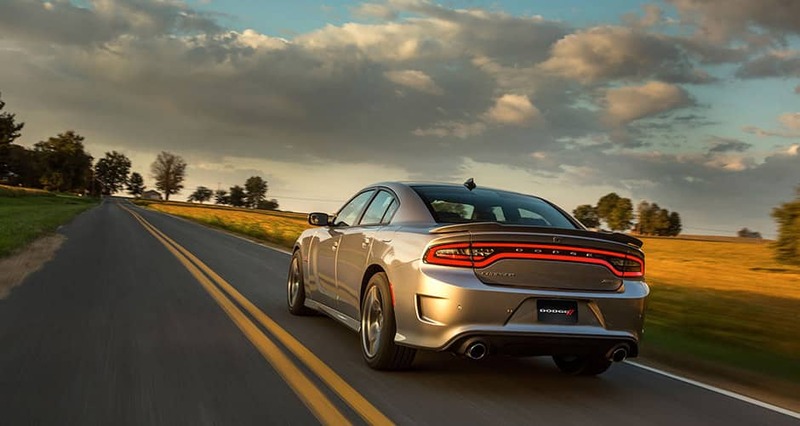 The 2016 Dodge Charger is the perfect sedan to own with all of its amazing features and applications to select from. Head down to our Lynch dealership to test-drive a Dodge Charger today.